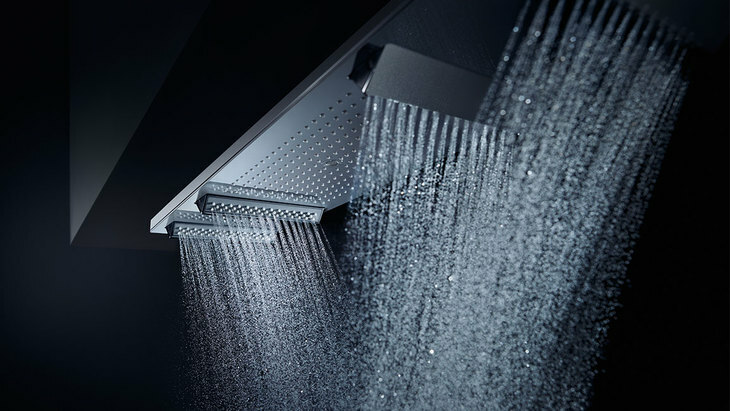 Experience the latest AXOR products on the new AXOR website. A little button guarantees a more comfortable shower. A timeless collection, which is a blend of the familiar and the new. With its impeccable design, AXOR Citterio E combines premium quality with refined elegance. 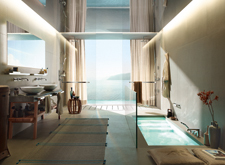 Products for all areas of the bathroom can be seamlessly integrated into a variety of style ambiences. 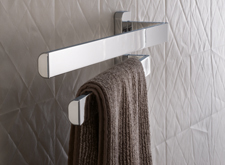 Add the ultimate personal touch to your bathroom with the AXOR Universal accessories range: the elegant, timeless elements can be used in versatile ways and, thanks to their universal design, they can be integrated into a range of different style worlds. The three designers from Front elegantly unmask those elements that usually remain concealed: with Scandinavian simplicity, they address the aesthetics of technology and create alluring designer items out of pipes, fittings, valves and funnels. A total five AXOR products for the shower area bear the hallmark of Front. Nendo dreams of the disappearance of boundaries – of different living areas coming together – of a shower where you can simply draw up a chair, switch on a light and read. 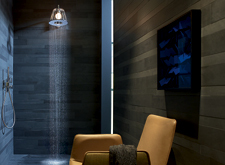 The result – an astounding living room light that is a shower. 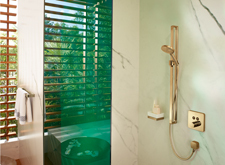 Put poetically, the AXOR LampShower adds a touch of homeliness to the bathroom. Light and water are combined in an almost magical way to form an elegant furnishing accessory. 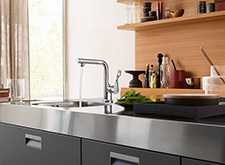 The new kitchen mixers from AXOR add a touch of elegance and high-tech design to the sink unit. The slimline mixer features a convenient function: the water can easily be turned on and off, at the simple touch of a button. AXOR and Philippe Starck are revolutionising use of the vital element of water. The essence of the new bathroom collection is contained in its organic minimalist design and a highly sensual water experience. 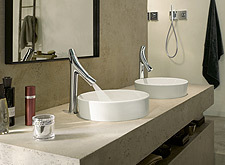 AXOR Starck Organic combines intelligent functions and ecological value. Consequently, the motto of the collection is: Follow your Head and your Heart.